Reading the Guardian’s Long Read (another good one – at this rate I’ll be contributing money) I was struck, in a piece about climate change, by the levels of cynicism attributed to us, the public. The Republicans do not take climate change seriously. explains at some length that this is a post-truth matter, but not specifically Trump. I have been selective, but put the whole thing at the bottom of the page. The scientific consensus is clear: more than 95% of climate researchers agree that human activity is causing global warming, and that without action to combat it we are on a path to dangerous temperature rises from pre-industrial levels. But the mere existence of this consensus gets taken by its political opponents as a priori evidence of a stitch-up. Why else would scientists and left-leaning politicians be agreeing with each other all the time if they weren’t scratching each others’ backs? Knowledge is easily turned into “elite” knowledge, which is tantamount to privileged snobs telling ordinary people what to think. Trump’s stance reflects the mutual intolerance that now exists between those promoting the scientific consensus and those for whom the consensus is just another political racket. Trump didn’t create this division. He is simply exploiting it….. But there is more going on here than dumb politics versus smart science. The facts are not just the innocent victims of politics. The facts have long been put in the service of politics, which is what fuels the suspicions of those who wish to deny them. The politicisation can cut both ways….. It is not just climate scientists who find themselves in this bind. Economists making the case against Brexit found that the more they insisted on agreement inside the profession about the dangers, the more it was viewed with suspicion from the outside by people who regarded it as a political con….. The fight over climate reveals how easily politics can get in the way of the facts, and how hard it can be to escape once cynicism exerts its grip. In many ways, climate science is particularly vulnerable to political distortion. But the issue of climate change also shows that it is a false comfort for liberal elites to think that the facts will win in the end. If they do, it won’t be because we woke up to the science. It will be because we woke up to the politics. When Mrs Thatcher talked about global warming back in the late eighties, it was a convenient truth – it fitted well with other things she wanted to be able to say. By the end of the century, climate change was associated with left or liberal policy positions (perhaps more so in the US than the UK) so there was a response from the republican right, simply because the message was being politicised by the opposition. Climate change was seen as a vehicle for promoting big government and higher taxes. At this point the trust required for a conversation has begun to disappear in a downward spiral. Once science gets dragged into the territory of politics, those on whichever is the ‘other’ side can accuse it of being a distortion of science. It no longer matters what you say, or what you show to be true, since we all ‘know' that politicians bend the truth to fit what other agendas they have. Thus science becomes politicised; worse, the science itself is tainted with that same colour of distrust. ¹ Which in turn means that anyone presenting truth they have researched is suddenly presenting ‘facts’ in a post-truth way, with an undertone of “they would say that” and muttered questioning of the bias caused by the funding source. Which leads to separate issues of publishing in academia  and funding of academic research. As soon as any doubts about the evidence turn instead into doubts about the people using it (para­phrasing  still) we have a situation where the cynicism has taken over. It is not a level playing field. It favours the cynics. Scientists have to decide whether to let the facts speak for themselves, or whether to try to take on the cynics at their own game. If they pull back from politics, they risk letting the cynics set the agenda. If they don’t, they risk proving the cynics right. All that the cynics have to do is emphasise the uncertainty. If your business is threatened, you spend money doing just that, looking for the uncertainties and pushing them. Emphasise all the doubt in science. This turns what might have started as a pretty definite statement, such as “we see a strong connection between smoking and cancer” to something much weaker, like ‘smoking may be bad for your health’. Which demotes the risk to much the same level, in many minds as the saw that says sleeping in bed is bad for you, since most people die in bed. ² Science, properly done, finds a measure of how certain a result is; it expresses the doubt mathematically. People who don’t read the fine print find it easy to let this confuse them and all the commentators with poor maths skills make the situation rapidly worse. The currency in which these campaigns trade is doubt. Their goal is to sow uncertainty in the public mind about what the science shows. In the words of an American Petroleum Institute action plan from 1998: “Victory will be achieved when average citizens ‘understand’ uncertainties in climate science.” To that end, money has been funnelled towards scientific researchers who dissent from mainstream opinion, even if those researchers are in a very small minority. Sowing doubt turns out to be relatively cost-efficient, because dissent only needs a few exceptions to the orthodoxy, whereas consensus requires everyone else to hold fast to it. ...Framing [the argument] as a contest between heterodoxy and orthodoxy fits the language of scepticism. In that way, it can be made to appear consistent with both science and democracy. Democracy needs dissent in order to function. Scientific progress depends on people being willing to challenge the conventional wisdom. Many climate sceptics argue that they are the ones on the side of science, because the currency of science is doubt. But when heterodox opinion gets purchased with hard cash, it cements the triumph of cynicism. Money ensures that motives are what matter. Deep down inside every politician—more exactly, those trying to drive politics in a direction—is a genuine need to know what the true situation is. So the wise cigarette manufacturer was also funding research to ‘really’ find out what was going on; the big energy companies would also fund work that underpins the consensus arguments against them. You might construe this as hedging bets, but you might see it as being safer if the water is muddy, but still wanting to know what the mud is hiding. In the context of politicised argument, you want to know the difference between propaganda and reality. The loss here is trust, that same trust that I think we need to have a conversation, especially one of those conversations where you discover what it is that you have been thinking and why you have (had) an attitude. You trust your discussion opponent to believe what they say in the same way you do yourself. When you do not have mutual trust, the discussion includes no transfer of opinion. It may make for ‘good’ television, but it doesn’t educate the masses; indeed, it furthers the cynical attitude that wants confusion sown and truth to be lost. If, indeed any truth was to be had at all. Which, in turn means that people make up their minds for reasons irrelevant to the content, such has who had a better head of hair, or a nicer smile, or better legs. In practice they ‘go’ with the individual they, in some sense, prefer, but that has precious little to do with the content of what was said. I see this as equivalent to the Year 9 selection process for GCSE: I like that teacher, I’ll do that subject. Or equivalently, My friend is doing <subject>, so I’ll join them. I’ve seen this too often as a reason for picking a university. All these are bad reasons. Apparently, we dislike hypocrites because we hate they way they seem to be signalling their superior virtue. Take two kinds of claims about environmental activism. Under one set of conditions, a speaker claims to recycle his rubbish, after which it is revealed that he does no such thing. Under the other, a speaker tell his listeners they should recycle their rubbish, after which it is revealed that he does not do it himself. The first is a liar. The second is a hypocrite, but not a liar, since what he says is still true (people should recycle their rubbish). Most people respond with relative equanimity to the lie. But they loathe the hypocrisy, because the hypocrite seems to be patronising them. Runicman again: If we dislike hypocrisy more than we dislike lying, then it is not just a problem for climate politics. It is a problem for democracy. It gives the liars their chance. During the presidential campaign, it was widely hoped that Trump’s relentless record of untruths would be his undoing. In the New York Times, David Leonhardt painstakingly listed the 26 lies Trump told in the first presidential debate, which ought to have been enough for anyone. But Trump has always been careful not to come across as the wrong sort of hypocrite: the kind who seems to be talking down to people. Hillary Clinton was not so careful. And when the voters get to choose between the two, the hypocrite loses to the liar. In the febrile, divisive state of our politics, it’s not what you say, it’s what you say about yourself by saying it that really counts. The social media revolution amplifies and exaggerates these kinds of accusations. It has become easier than ever to find evidence of how individuals’ public attitudes are given the lie by their private actions. There are now so many public attitudes to choose from, and private actions are now so much harder to hide. Twitter is a vast hypocrisy-generating machine that is corroding democratic politics. Scepticism, which is a democratic virtue, is giving way to cynicism, which is a democratic vice, across the board. And that last is perhaps the crunch point. Scepticism is a good thing, but cynicism is a bad one. Is Runciman on Orwell and hypocrisy, which I found good reading. Runciman goes further, describing how if when group is threatened, it tends to laager up. No more dissent in the ranks. But if you don’t like the result, you simply point and say, “Look, they feel threatened”, imply that they’ve changed their minds – and win. Sow doubt about any part of what they say and to so many that casts doubt upon ALL of what they have been saying. In the same way, if you have been foolish enough to make a prediction, (“the Conservatives can’t possibly lose”) then when shown to be wrong not only was the prediction wrong, but all the commentary that went with it is discarded too. By such routes do we have Brexit, Trump and a UK minority government. So mistrust of politics has become something far more dangerous, a mistrust of anything expert. Worse still, we have a significant segment of the population who now distrust every expressed definite statement. 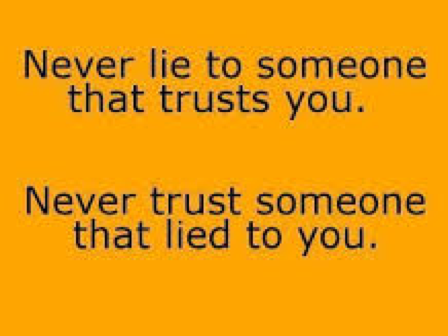 Perhaps we learn from the US election that a proven liar is preferred over a perceived hypocrite; perhaps we learn only that politicians can be successful whatever they say. On the way, though, we have come to disbelieve every expert opinion. Because of this cynicism, it doesn’t matter where your funds for research come from, whatever your result, it can be called ‘biased’ in a way that takes the resulting opinion and then casts doubt upon the data because it supports the announcement. This is a different problem to that of trying to determine correlation or causation (essay 232; correlation provable, causation far more difficult). It is a worse one because it makes no attempt to believe on the grounds of information, it rejects every statement on the grounds of cynical bias. Unfortunately, it means that beliefs and opinions are formed on a similarly flimsy basis – and, I suspect pushes opinion-formation onto even shakier ground, because it begins from a position of rejecting what someone else has made sensible. So this begins to explain how it is that we have had the so very ‘interesting times’ of late. It explains why this will continue, too. What it doesn’t do is prevent us, in any way, from thinking for ourselves. Terrorists push us to distrust each other and in Manchester, at least in the immediate past, that has had an opposite effect. This gives us hope that we may have enough trust to actually talk to each other and share opinions and form them for ourselves. The scepticism that causes us to check any information (facts, truth, dream on) is healthy. What is not healthy is the cynicism of rejection of all healthy opinions and considered statements in favour of the emotional sound-bite. It is so much easier for far too many people to simply not-think. As I have written several times recently, even those of us that want to think for ourselves are finding it steadily harder to establish what might be a truth. So I call this septic thinking: it is diseased, infected, corrupted. It needs a cure. Be aware of the influence and combat it. Do your own antibody work, though I hope I’ve handed on a few cells-worth. Side issue here covered by , to do with access to scientific papers. I applaud the successful publication after peer review of totally rubbish papers that read in jargon. I applaud far more the creation of sites that allow stuff to be published for free (so you and I can read it without having to be full-time university staff). 1 Whatever colour it is, it is not this colour, of rust. Perhaps a jaundiced yellow would be better? 2 You want to smoke, go ahead; this is your choice and it is your health, I have multiple issues if you force me to breathe your smoky air and I have other issues with your cost to society when it is required to treat you. Those are smaller ones, because I may be doing things which will have similar costs later in my own life. I’ll wear that second risk, but I am very unhappy with you inflicting direct damage upon me. in entirety, less adverts and pictures. Last month Donald Trump announced his intention to withdraw the United States from the Paris climate accord. For his supporters, it provided evidence, at last, that the president is a man of his word. He may not have kept many campaign promises, but he kept this one. For his numerous critics it is just another sign of how little Trump cares about evidence of any kind. His decision to junk the Paris accord confirms Trump as the poster politician for the “post-truth” age. But this is not just about Trump. The motley array of candidates who ran for the Republican presidential nomination was divided on many things, but not on climate change. None of them was willing to take the issue seriously. In a bitterly contentious election, it was a rare instance of unanimity. The consensus that climate is a non-subject was shared by all the candidates who appeared in the first major Republican debate in August 2015 – Jeb Bush, Scott Walker, Ben Carson, Ted Cruz, Marco Rubio, Rand Paul, Chris Christie, John Kasich, Mike Huckabee and Trump. Republican voters were offered 10 shades of denialism. As Huckabee quipped in January 2015, any talk of global warming was a distraction from the real dangers the country faced: “A beheading is a far greater threat to an American than a sunburn.” Trump’s remarks on climate may have more been erratic (“I want to use hairspray!” he said at one point, confusing global warming with the hole in the ozone layer) but their consistent theme was that manmade climate change is a “hoax”, perpetrated by the enemies of the US, who may or may not include China. Climate science has become a red rag to the political right. The scientific consensus is clear: more than 95% of climate researchers agree that human activity is causing global warming, and that without action to combat it we are on a path to dangerous temperature rises from pre-industrial levels. But the mere existence of this consensus gets taken by its political opponents as a priori evidence of a stitch-up. Why else would scientists and left-leaning politicians be agreeing with each other all the time if they weren’t scratching each others’ backs? Knowledge is easily turned into “elite” knowledge, which is tantamount to privileged snobs telling ordinary people what to think. Trump’s stance reflects the mutual intolerance that now exists between those promoting the scientific consensus and those for whom the consensus is just another political racket. Trump didn’t create this division. He is simply exploiting it. It is tempting for anyone on the scientific side of the divide to want to apportion all the blame to the “alt-facts” crowd, who see elite conspiracies everywhere. But there is more going on here than dumb politics versus smart science. The facts are not just the innocent victims of politics. The facts have long been put in the service of politics, which is what fuels the suspicions of those who wish to deny them. The politicisation can cut both ways. The politics of climate change poses a stark dilemma for anyone wanting to push back against the purveyors of post-truth. Should they bide their time and trust that the facts will win out in the end? Or do they use the evidence as weapons in the political fight, in which case they risk confirming the suspicion that they have gone beyond the facts? It is not just climate scientists who find themselves in this bind. Economists making the case against Brexit found that the more they insisted on agreement inside the profession about the dangers, the more it was viewed with suspicion from the outside by people who regarded it as a political con. Post-truth politics also poses a problem for scepticism. A healthy democracy needs to leave plenty of room for doubt. There are lots of good reasons to be doubtful about what the reality of climate change will entail: though there is scientific agreement about the fact of global warming and its source in human activity, the ultimate risks are very uncertain and so are the long-term consequences. There is plenty of scope for disagreement about the most effective next steps. The existence of a very strong scientific consensus does not mean there should be a consensus about the correct political response. But the fact of the scientific consensus has produced an equal and opposite reaction that squeezes the room for reasonable doubt. The certainty among the scientists has engendered the most intolerant kind of scepticism among the doubters. Not all climate sceptics are part of the “alt-right”. But everyone in the alt-right is now a climate sceptic. That’s what makes the politics so toxic. It means that climate scepticism is being driven out by climate cynicism. A sceptic questions the evidence for a given claim and asks whether it is believable. A cynic questions the motives of the people who deploy the evidence, regardless of whether it is believable or not. Any attempt to defend the facts gets presented as evidence that the facts simply suit the interests of the people peddling them. Climate change is the defining political issue of our times and not simply because of the risks we run if we get it wrong. An inadequate response – if we do too little, too late – could inflict untold damage on the habitable environment. But even before that day comes, the contest over the truth about climate change is doing serious damage to our democracy. Climate science has not always been so political. The idea that manmade carbon emissions are contributing to significant changes in the climate first came to public notice in the 1960s and 1970s. But attention to the issue was not primarily driven by politics, despite an attempt by Richard Nixon when president to push for more research into the issue. Most of the early consciousness-raising came from journalists. In 1975, Newsweek made a splash with the claim that the science of climate change was pointing to the imminent threat of global cooling. This warning gained notoriety but little political traction, at a time when the dangers of nuclear war and the economic consequences of the oil crisis crowded out other forms of apocalypse. The political consequences had to wait decades to be felt. Many of the recent Republican presidential candidates cited over-the-top scare stories about global cooling from their childhood as a reason to discount scare stories about global warming today. The ecumenical quality of climate change as a political cause was emphasised when Margaret Thatcher took it up at around the same time. In her speech to the UN general assembly in 1989, she spoke of global warming as one of the most serious threats facing humanity. She was comfortable speaking the language of science, having been a scientist herself. But her motives were political: it suited her prior point of view. She drew extensively from the warnings of the Scott Polar Research Institute in Cambridge, in part because she had grown to trust their advice on climatic conditions during the Falklands war. She believed in nuclear power as an emblem of free enterprise. And she had historic reasons to be suspicious of coal. For Thatcher, climate change was a convenient truth. But no issue, once politicised, remains ecumenical for long. In 1989 Thatcher’s time was nearly up. Gore’s was just beginning. Through the 1990s and 2000s, as climate change became associated with left or liberal policy positions, it started to receive serious pushback from the right, for whom the political motivations of those championing the science were obvious. Climate change was seen as a vehicle for promoting big government and higher taxes. It became a totem of the partisan divide. This was the beginning of a vicious circle of mutual distrust. Once science gets dragged into the territory of politics, its opponents can accuse it of being a distortion of science. Scientists are meant to be politically neutral, at least as far as their science is concerned. Yet it is almost impossible to remain neutral when you are under political assault. In these politically charged circumstances, there is no safe space for the facts to retreat to. That was made clear by the so-called “climategate” scandal of 2009, when a series of hacked emails from the University of East Anglia was held up as evidence that the scientific evidence was being distorted to fit a political agenda. The emails showed no such thing. What they did reveal is that in an environment of highly politicised scepticism, climate scientists were forced to think about guarding the evidence against opponents looking for any excuse to discredit it. In private correspondence, the UEA scientists talked about presentational “tricks” for describing the data and the need to favour certain outlets for publication over others. They looked out for their friends and they were wary of their enemies: that’s politics. There was nothing wrong with the science, as was confirmed by an extensive series of inquiries into the affair. But the emails betrayed the scientists’ awareness that the idea of a consensus on manmade climate change was under concerted attack. So they went out of their way to shore up the consensus. Which, when revealed, confirmed to their opponents that the consensus was a sham. This is how climate scepticism becomes climate cynicism: doubts about the evidence are replaced by doubts about the motives of the people using it. In 2012, Senator Jim Inhofe, a Republican who once brought a snowball on to the floor of the senate to show that climate change wasn’t real, published The Greatest Hoax: How the Global Warming Conspiracy Threatens Your Future. The book contains two lengthy appendices. The first is the full transcript of the UEA emails, presented as prima facie evidence that the science is a fix. The second is a history of the United Nations global development programme. The argument goes like this: there is no need for world government unless there are issues that can’t be solved by national governments. Climate change is such an issue. So it follows that it has been invented by people who can’t justify world government any other way. It is a globalist plot. Once cynicism becomes the default mode of attack, then both sides are trapped. Moreover, it is not a level playing field. It favours the cynics. Scientists have to decide whether to let the facts speak for themselves, or whether to try to take on the cynics at their own game. If they pull back from politics, they risk letting the cynics set the agenda. If they don’t, they risk proving the cynics right. Cynicism is fuelled by the ease with which uncertainty about the science can be spread. All it takes is time and money. Questioning climate science suits the interests of the fossil fuel industry, where the politics of climate change has long been seen to pose a direct threat. Ever since climate became a political issue in the 1980s, the big oil companies have been funding an extensive PR operation to raise questions about the strength of the evidence. ExxonMobil alone has spent more than $240m on public relations in this area in the past two decades. Many of the leading Republican candidates for president in 2016 (though not Trump) took campaign funding from the Koch brothers, who have been at the forefront of the fight against the scientific consensus on climate change. However, it is no coincidence that this is how the oil industry chooses to see the struggle. Framing it as a contest between heterodoxy and orthodoxy fits the language of scepticism. In that way, it can be made to appear consistent with both science and democracy. Democracy needs dissent in order to function. Scientific progress depends on people being willing to challenge the conventional wisdom. Many climate sceptics argue that they are the ones on the side of science, because the currency of science is doubt. But when heterodox opinion gets purchased with hard cash, it cements the triumph of cynicism. Money ensures that motives are what matter. The ultimate goal of the merchants of doubt has been to politicise the orthodoxy, not simply to dispute it. What has given climate scepticism political teeth over the past two decades is the drive to associate the scientific consensus with the political establishment. Mainstream scientists and mainstream politicians are both viewed as belonging to a club that is comfortable spending other people’s money but deeply uncomfortable with anyone else’s point of view. In an age when all kinds of elites are viewed with suspicion, portraying scientists as a well-connected interest group leaves them vulnerable to political attack. Scientists take public funding. Scientists pass judgment on each other’s work. The scientific establishment is just another a closed shop. Political cynicism has weaponised climate scepticism. But it might also prove to be its achilles heel. Just as pure science struggles with the fact that it can’t avoid politics, so pure politics struggles with the fact that it can’t avoid science. Even the most cynical political operators need to know what’s really likely to happen. As reporting in the Los Angeles Times has shown, at the same time that it has been funding a PR campaign to question the scientific consensus, ExxonMobil has also been funding some of the research that underpins that consensus, including studies of rapidly shrinking ice levels in the Arctic. In the words of David Kaiser and Lee Wasserman, writing in the New York Review of Books, “a company as sophisticated and successful as Exxon would have needed to know the difference between its own propaganda and scientific reality”. Kaiser and Wasserman argue that, as a result, the company has committed fraud: it failed to disclose to its shareholders the basis on which it was making its investment decisions. Its business plans take it for granted that climate change is a real and imminent threat. Are there grounds for thinking that the same will be true for climate science? The tactics of the industries in question may be similar, but the cases are different in crucial respects. Tobacco impacts on its victims directly – smokers do eventually die – and it was when personal experience caught up with industry denial that the argument was lost. It is possible that climate change could kill even more people than smoking. But any damage on that scale is still a long way off. It is also far less direct. The victims will not necessarily be the people who are currently engaged in the most harmful behaviour. Once it had been established that smoking causes cancer, it was clear what had to be done to prevent it: individuals would have to stop smoking and tobacco companies would have to stop encouraging them. There is no equivalent certainty around climate change, even once we accept the scientific consensus that it is real. Those responsible for causing it are not those who will suffer most from it. The current migration crisis is partly being driven by changes in the climate affecting food and water supplies in Africa and the Middle East. But the politics of migration will never find answers in the science of climate change, for the simple reason that the science does not tell us what to do about it. Climate change has distinctive features as a political issue that make it much more intractable than other controversies in which the science was once in cynical dispute. The hyper-politicisation of climate science has coincided more or less directly with the rise of social media; the fight over tobacco took place before the age of the internet, which at least gave scientists some measure of protection from personal exposure. Meanwhile, the consequences of climate change are long-term, global and uncertain. That means any solution places a huge premium on trust. We have to trust that it really will cause harm. We have to trust that we are responsible for any harm it causes. We have to trust that any action we take won’t be undone by the inaction of others. In an age of enormous mistrust in politicians, this poses a huge challenge. We need far more trust in politics than we have at present in order to take concerted action on climate change: apart from anything, we would need to believe that politicians would be willing to share in the sacrifices they ask of us. In the meantime, those who are determined to sow suspicion about the merits of concerted action are fuelling our mistrust in politics. There is no equivalent of watching a relative die of lung cancer to split the difference. The people who made the case that smoking causes cancer were not generally thought of as hypocrites. It’s true that some of them still smoked, even after they knew the dangers. But there were far more smokers inside the tobacco industry, where being seen with a cigarette in hand was positively encouraged as a signal that there was nothing to worry about. Climate science is different. Ever since it became a political issue, it has been bedevilled by accusations of hypocrisy. The internet is awash with tales of Al Gore and his monstrous double standards: he racks up enormous air-conditioning bills in his multiple homes; he leaves his private jet idling on the runway as he spreads the message that flying is wrong; he sells his television network for megabucks to al-Jazeera, where the money to buy it comes from Qatari oil. In the words of the National Review in 2016: “The [climate] hysterics are hypocrites. It’s austerity for thee but not for me as they jet around the world to speak to adoring audiences about the need for sacrifice.” Until wealthy liberal New Yorkers start selling up their Manhattan real estate and moving to higher ground, the cynics say, there’s really nothing to worry about. Recent research by a group of psychologists shows why this is such a problem: we dislike hypocrites because we hate they way they seem to be signalling their superior virtue. Take two kinds of claims about environmental activism. Under one set of conditions, a speaker claims to recycle his rubbish, after which it is revealed that he does no such thing. Under the other, a speaker tell his listeners they should recycle their rubbish, after which it is revealed that he does not do it himself. The first is a liar. The second is a hypocrite, but not a liar, since what he says is still true (people should recycle their rubbish). Most people respond with relative equanimity to the lie. But they loathe the hypocrisy, because the hypocrite seems to be patronising them. This is terrible news for environmentalism. Doctors who smoke are not really patronising their patients: if anything, they are revealing sympathetic human weakness. But environmental activists who leave the engine running are easily portrayed as dreadful elitists: they think the rules don’t apply to them. The populist rabble-rousers of the right have exploited this fact mercilessly. Hypocrisy is hard to avoid when it comes to the politics of climate change, since it is a collective-action problem. It’s far from clear what difference any individual action will make. What matters is what we do together. This makes it practically impossible for any one individual to match words to deeds. Yet the failure to do so provides the perfect stick for the climate cynics to beat their opponents with. If we dislike hypocrisy more than we dislike lying, then it is not just a problem for climate politics. It is a problem for democracy. It gives the liars their chance. During the presidential campaign, it was widely hoped that Trump’s relentless record of untruths would be his undoing. In the New York Times, David Leonhardt painstakingly listed the 26 lies Trump told in the first presidential debate, which ought to have been enough for anyone. But Trump has always been careful not to come across as the wrong sort of hypocrite: the kind who seems to be talking down to people. Hillary Clinton was not so careful. And when the voters get to choose between the two, the hypocrite loses to the liar. Since his arrival in the White House, Donald Trump has been in the middle of a tug of war between the liars and the hypocrites inside the West Wing. On one side stands Steve Bannon, representative of the “alt-right”, still looking to flush out the hypocrisy of the globalists and ready to peddle any old conspiracy theory to achieve his goals. On the other stand the younger members of Trump’s family, including his daughter Ivanka and her husband Jared Kushner, who are more concerned with keeping up appearances. Climate change quickly emerged as one of the fault lines in this showdown. In the end it was Bannon who persuaded Trump to make good on his promise to withdraw the US from the Paris climate accord. Kushner argued that this would send the wrong signal and that much more could be achieved by sticking with the agreement but reorienting it to suit the interests of the big American fossil fuel producers. Trump’s secretary of state, Rex Tillerson, who was previously the CEO of ExxonMobil, sided with Kushner. They lost. In this case, both approaches are equally cynical. For Bannon, everything, including climate science, is just an extension of politics: all that matters is which side you are on. For his opponents inside the administration, climate change can be sidelined as an issue by paying lip service to the consensus while acting in ways that make it irrelevant. The liar denies that climate change is really happening. The hypocrite accepts that it is real but behaves as if the words don’t mean anything. Trump’s administration is dragging climate science further into the swamp of partisan politics. Populist attacks on the scientific consensus co-opt reasonable doubt and turn it into unreasonable suspicion of another self-interested elite. The natural tendency of any elite under this sort of pressure it to build the castle walls higher in order to keep the interlopers out. Faced with a concerted assault on their integrity, what should climate scientists do? They face a choice. One option is to try to reclaim climate scepticism from the people who have corrupted it. The other is to insist more strongly than ever on the consensus. When the space for doubt has been taken away, you can respond by becoming more certain of your own position. Or you can try to take doubt back. There are lessons for the politics of climate change from economics. The economics profession, like any other, is full of people who will express their doubts and uncertainties among friends. But when confronted with a hostile or bemused public, they will close ranks. Economists do not want to appear to be unsure of themselves, given how little the public understands of what they do anyway. So rather than admit that there are many different ways of thinking about, for example, free trade, they insist that all economists agree it is a good thing. As the economist Dani Rodrik puts it, when faced with hostile fire, the natural tendency is to start circling the wagons. For the many voters who do not see the benefits of free trade, this looks like a stitch-up. Economists have found themselves vulnerable to the same dilemma as climate scientists. If they express doubt, the cynics rip them to shreds. But if they conceal doubt, the cynics rip them to shreds anyway. Political pressure often tempts experts into making predictions about the immediate future to prove their point, even though this is a hostage to fortune. Economics is not really meant to be a predictive science. But making predictions is a good way to get attention in a very noisy news environment. The temptation always exists to reduce long-term forecasts to short-term predictions in order to get a hearing. Some economists fell into this trap before Brexit. By talking up the immediate downside, they made it easy to dismiss their warnings when the worst failed to happen straight away. The costs of a failed prediction far outweigh the benefits of an accurate one, especially when that prediction has made in the service of politics. Political journalism is now suffering its own version of this failure. Reasonable doubts about Trump and Jeremy Corbyn were too often accompanied by journalistic predictions that they couldn’t possibly win. These predictions were made to show that scepticism about their politics was something more than just one commentator’s opinion: it was based on a testable hypothesis that would be borne out by events. When the predictions turned out to be wrong, the reasonable doubts got discredited, too. Climate scientists have not faced an embarrassment on an equivalent scale to the financial crash of 2008 or the elections of 2016-17: the big shock they didn’t see coming. Were global warming to turn back into global cooling, climate science might find itself in the same boat as the economics profession: derided for its failure to provide any kind of warning mechanism for the real dangers we run. For now, the main accusations it faces are of crying wolf. In their eagerness to push the idea that climate change is real, environmentalists have too often been drawn into making premature claims about when we will feel its effects. Gore did it in An Inconvenient Truth, released in 2006, when he talked about a 10-year tipping point after which disaster would be at hand. He also overstated the threat of larger and more frequent hurricanes, in the recent aftermath of Hurricane Katrina. Until the wolf is at the door, shouting louder and louder about how close he is does no good. It plays into the cynics’ hands. Science often makes for bad politics, because it pretends that it is not politics. The most effective political arguments for taking climate change seriously cannot therefore be ones that simply rest on the science. We need to stop thinking that one side has possession of the truth and the other is just running on money and prejudice. Both sides get tempted into being economical with the truth in the cause of politics. The cynics know what they are doing, which is what makes them cynics. The other side often doesn’t, which is what leads them into the cynics’ trap. We live in an age when mistrust of politics has spilled over into mistrust of expertise, and vice versa. To respond with ever-greater certainty in the name of science is a big mistake. Expertise doesn’t just need humility. It also needs to reclaim the idea of scepticism from the people who have abused it. Experts need to find a way of expressing uncertainty without feeling it undermines their expertise. Voicing doubt has been allowed to become a synonym for admitting you were wrong. The way out is to stop insisting that you were right in the first place. The scientific consensus on climate change is real. But by insisting on its merits for the purposes of politics, its champions have exposed it to ridicule. Political arguments for climate science – indeed, for any science – in the age of Trump should not keep saying that the populists are lying about the consensus. They should say that they are hypocrites about the doubt: they do not practise what they preach because they think they know the answers already. Climate change deniers argue they are only trying to discover the truth. We should all be sceptical about that.